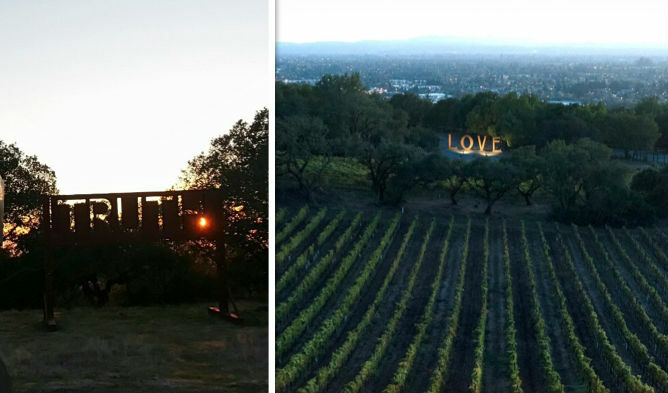 As the largest city in Sonoma County, Santa Rosa’s centralized location occurs at the confluence of some of the most cherished wine producing regions in the state. 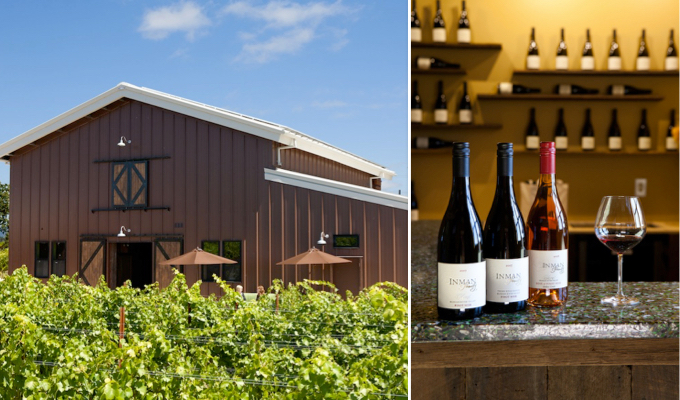 With easy access to Highway 101 and San Francisco only an hour’s drive to the south, the city offers an easy and affordable option for weekend wine tasting excursions. 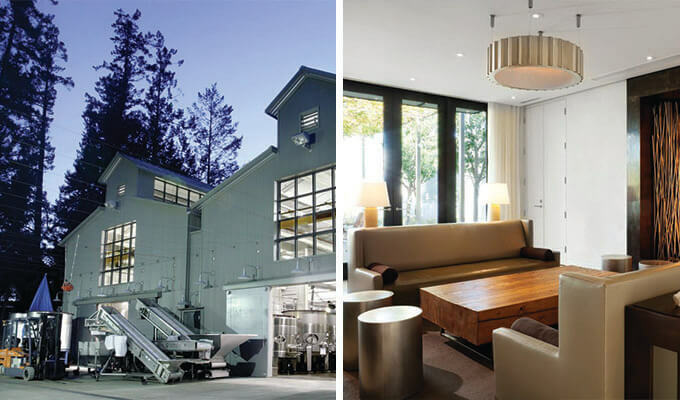 Not surprisingly, Santa Rosa’s industrial parks have become home to wine tasting rooms for some of the area’s best wineries. Below are some of the more popular destinations representative of the region’s growing popularity with wine aficionados. Dutch transplants Walter Byck and Marijke Hoenselaar founded Paradise Ridge Winery in 1994 in the Russian River Valley. Employing environmentally sensitive, sustainable, organic farming techniques, the winery creates handcrafted Sauvignon Blanc, Chardonnay, and Pinot Noir vineyard designate wines. Their grounds are just as impressive, with larger than life sculptures in Marijke’s Grove—aesthetically pleasing, and a dynamite spot for parents looking for a place to let kids wander. With the purchase of a bottle of wine, guests are permitted to picnic on the veranda. Make the deal even sweeter by grabbing some lunch at Oliver’s Market on the way there. Take exit 492 from US-101. Follow Fountaingrove Pkwy. to Thomas Lake Harris Drive, then turn right onto Mendocino Ave. Turn left onto Fountaingrove Pkwy., then left onto Thomas Lake Harris Drive. Transplanted Texans Adam and Dianna Lee brought to California a dream of making the best Pinot Noir possible. As owners of Siduri Winery, the couple spends much of their time scouring the Pacific Coast, from Santa Barbara to Oregon, for premium grapes that meet their standards of quality and excellence. Today, the couple produces 20 different vineyard designate wines that have become the winery’s showcase. Ask about Siduri Winery’s “unfined and unfiltered” winemaking policy. From Paradise Ridge Winery, turn right onto Fountaingrove Pkwy. Continue to Industrial Drive. Turn left onto Airway Drive, then left onto Airway Court. 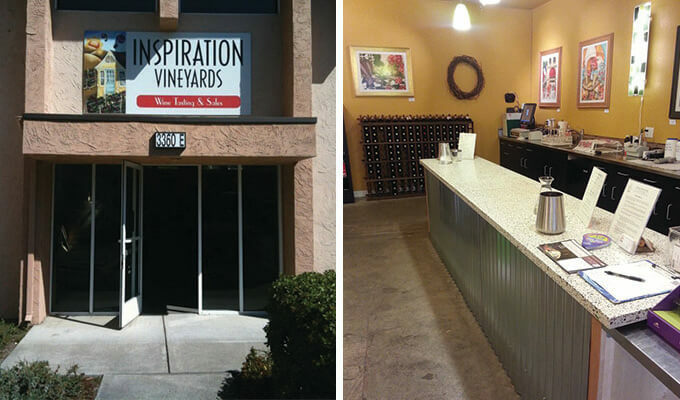 Inspiration Vineyards and Winery got its start when owner Jon Phillips bought 4.5 acres of Russian River Valley farmland and started growing grapes in 2001. 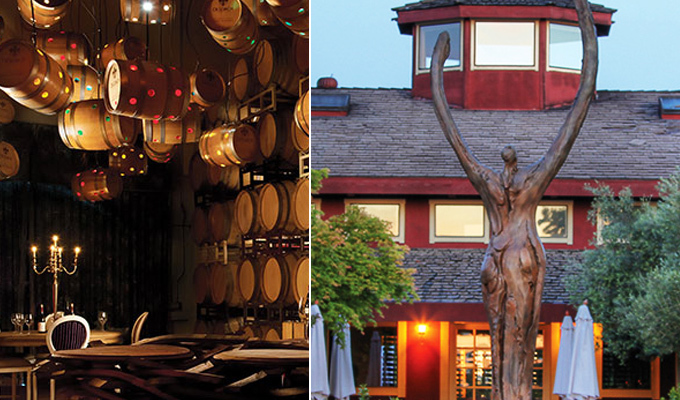 By 2009, the winery produced 2000 cases of boutique wine varieties including Grenache, Viognier, Zinfandel, and Pinot Noir, and continues to expand. While they’re serious about winemaking, their tasting room is relaxed with comfortable leather couches and a dart board. 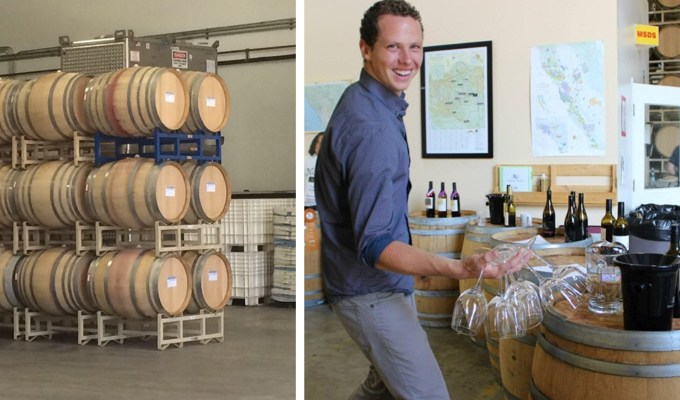 The Phillips moved their winemaking operation and tasting room to Pinecreek Business Park in Santa Rosa, which has become a wine connoisseur’s destination spot. From Siduri Winery, turn right toward Airway Court, then left onto Airway Drive. Turn right onto Piner Road and then right onto Coffey Lane. University of California Davis graduate and co-owner of Carol Sheldon Wines, Carol Sheldon knows good wine when she tastes it. Since she and her husband first opened the doors in 2000, Sheldon’s production of quality Zinfandels has become the thing of legend. Today, the winery produces a mixture of 5,000 cases of Zinfandel, Pinot Noir, Cabernet Sauvignon, Petite Sirah, Viognier, Grenache Blanc, and others. Don’t be turned off by the unassuming industrial park vibe outside—once inside, you’ll be greeted by a friendly staff. Ask who comes up with the eclectic names for the individual wines. Walk from Inspiration Vineyards and Winery to Carol Shelton Wines, right next door! A boutique winery owned and operated by a multigenerational Italian family, D’Argenzio Winery brings a long history of winemaking excellence to the table. Focusing on small lots of vineyard designate grapes, the winery produces a number of Russian River grape varieties including favorites like Pinot Noir, Zinfandel, Petite Sirah, and Cabernet Sauvignon, plus an array of traditional Italian wines. While you’re tasting, try your hand at bocce on the court outside. If you’re more of a spectator, watch the bocce leagues during “Wine Down Thursdays,” which include happy hour and live music. From Carol Shelton Wines, turn left onto Coffey Lane, then left onto Piner Road. Turn right onto Cleveland Avenue. Owner John Vicini’s roots lie in Tuscany, where for generations his family nurtured a passion for all things wine related. In 1994, he and his wife began growing and selling grapes from their Russian River property, and in 1999, with the help of son David, the Trecini Winery was born. Today the winery produces five premium wine varieties that have become classics in their own right, including Sauvignon Blanc, Syrah, Merlot, Merlot Rosé, and a Zinfandel. 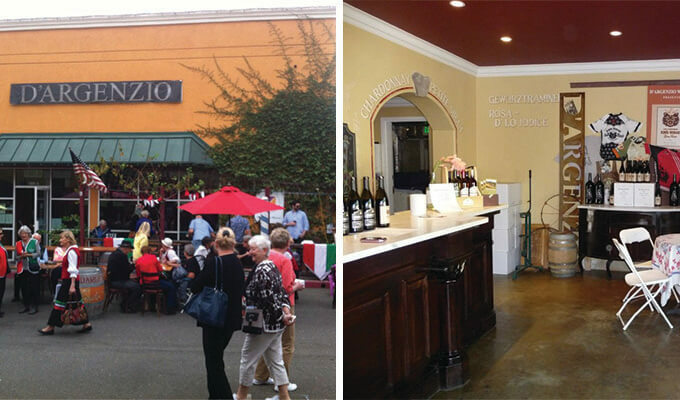 John owned and operated Caffe Portofino for 27 years, one of the finest Italian restaurants in the Santa Rosa region. Rumor has it John loves to share his favorite recipes, so don’t forget to ask. From Cellars of Sonoma, turn left onto Morgan Street, then right onto 7th Street. Turn right onto Beaver Street. DeLoach Winery is a Boisset Family Estates property with deep roots in Burgundy, France. Combining sustainability and winemaking expertise, the staff has a history of producing some of the finest Pinot Noir wine in the competitive California wine market. Take some time to wander their beautiful grounds. Check out their collection of vintage cork screws on display. From Trecini Winery, continue towards 7th Street. Turn left at the 3rd cross street onto College Ave. Turn right onto Fulton Road, then left onto Guerneville Road. Turn right onto Olivet Road. 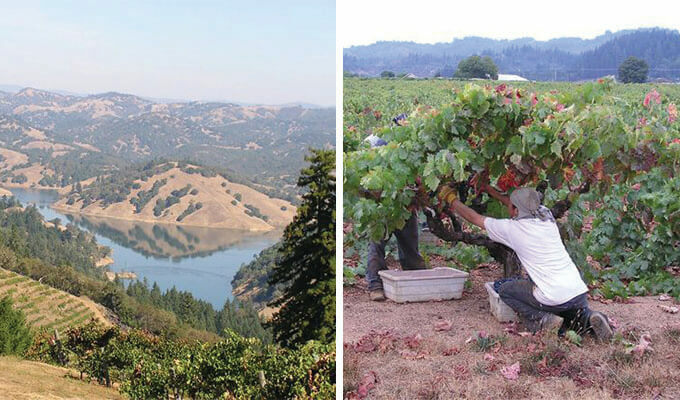 Inman Family Wines is a family-owned, small-production winery focusing on Pinot Noir grapes from the Russian River area. The Inman family follows sustainable, eco-friendly farming practices in producing organic grapes of the finest quality. Check with the helpful staff about the Inman Family Wine Club, which gets you on the inside track for the newest releases and limited bottlings the vineyard has to offer. Call ahead to book for a private tasting and winery tour with winemaker and owner Kathleen Inman.